Need to brighten someone's day? Tell someone how special they are? Or simply say I love you? 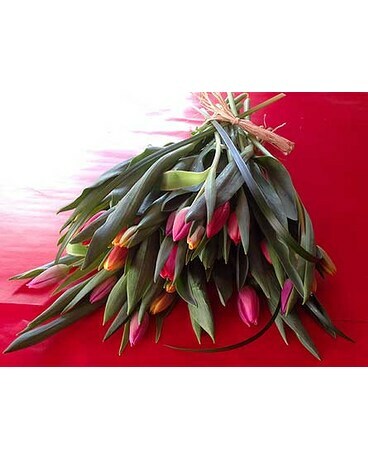 What could be better than a bouquet overflowing with assorted colourful tulips. It's the perfect spring pick me up when winter seems everlasting. Please note, this bouquet arrives without a vase. Colours may vary based on seasonal availability. For more details feel free to call the shop!